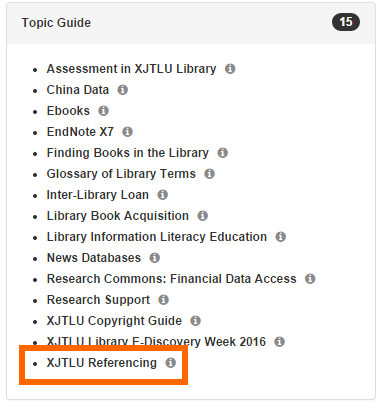 XJTLU Referencing is a library guide created by librarians on the LibGuides platform. 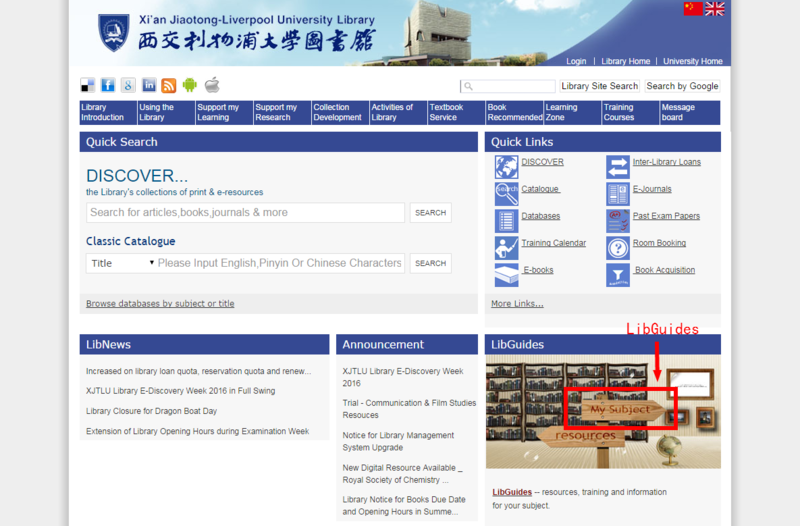 To access XJTLU Referencing, you may go to the Library’s LibGuides platform at http://libguides.lib.xjtlu.edu.cn. You may also click the link “my subject” in the bottom right of the Library’s homepage. The XJTLU Referencing guide can be found in the category of ‘Topic Guide’. The direct URL of the guide is http://libguides.lib.xjtlu.edu.cn/xjtlureferencing.